HONG KONG, CHINA - - 6 September 2018 -The Belt and Road Summit was held in Hong Kong on June 28, whose participants include emissaries and government officials. Pioneer of Ginseng healthcare companies, Dragon Ginseng International Group also joined the summit to explore investment opportunities in different countries. Chairman, and founder of World Ginseng Association, Hsieh Lung Fei led the industry to promote the values of ginseng in the Summit, bringing the ginseng healthcare industry to countries of Belt and Road. Chairman of Dragon Ginseng International Group -- Hsieh Lung Fei has been devoting himself into promoting ginseng for the past years. Born in a family of Chinese medicine practitioner, He has followed his father's footstep since his childhood, building his rich knowledge and expertise in Chinese medicine, especially Ginseng. 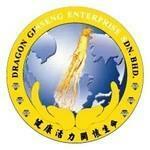 Managed by the Chairman Hsieh, the ginseng products of Dragon Ginseng are produced at a high quality. He chooses to set up ginseng farm on Changbai Mountain, "the hometown of ginseng", to cultivate the ginseng for six years. Its ginseng products are extracted in a low temperature environment at 28 Degree Celsius to make sure Dragon Ginseng is more gentle for most customers, which is a scientific breakthrough in ginseng industry. With the high quality ginseng products, Dragon Ginseng's Career map has expanded to the United States, Japan, China, Malaysia, Singapore, Indonesia, Hong Kong, Macau and Taiwan. In Hong Kong, Dragon Ginseng is also well received by customers, with its products being listed in close to 40 pharmacies and one duty-free store that mainly serves mainland tourists. Not only promoting ginseng through his own brand, but Chairman Hsieh also setting up World Ginseng Association, aims to bring ginseng industry to globe. Hoping to lead the ginseng industry to a global level, Chairman Hsieh devotes himself to the industry, links up every regions and builds up a concrete foundation for the industry. Coordinating resources from the Belt and Road's regions and countries, World Ginseng Association aims to provide training, invest in different regions and contribute its earnings and taxes. Ginseng industry can be then benefited by this closely linked business chain and steps into the global world. Chairman Hsieh's original intention of promoting ginseng has not changed for tens of years, fulfilling in many different sectors. As a "ginseng artisan", Hsieh and Dragon Ginseng have been insisting on the quality production mission, realizing scientific ginseng products, being an expertise in the industry. Flagship store of Dragon Ginseng is located in 510, Nathan Apartment, Nathan Road in Yau Ma Tei. Dragon Ginseng has built up a historical reputation for its ginseng products, accumulating loyal customers range from 30- to 70- year-old. Well-received products include Dragon Ginseng Powder, Dragon Ginseng capsules and Dragon Ginseng sapon, which are suitable for self-use or gifting.